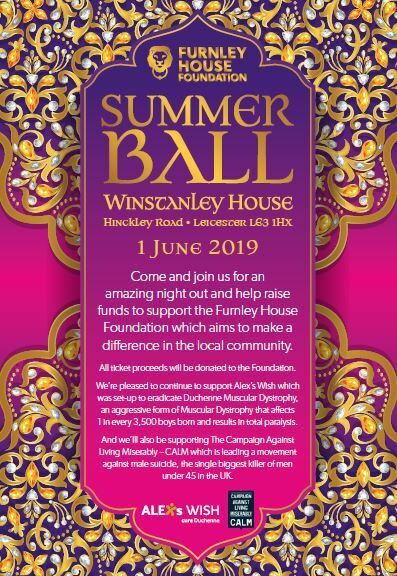 Last year, Furnley House raised around £30,000 at their Summer Ball, an event attended by over 150 Furnley House clients and business partners. As a result of both the funds raised and the incredible feedback they received from attendees, they are really excited to announce that they’re running the ball this year on the 1st June 2019. 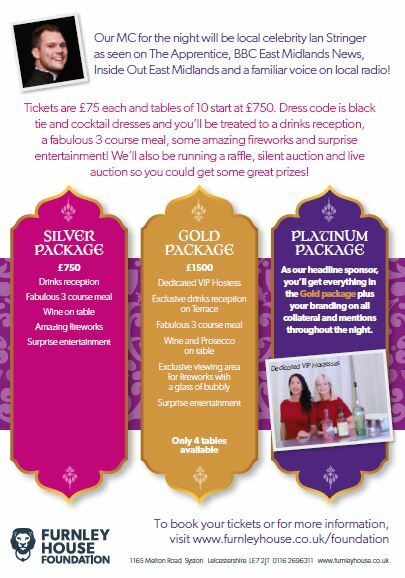 You’ll be treated to a drinks reception, a fabulous 3 course meal, some amazing fireworks and surprise entertainment! They’ll also be running a raffle, silent auction and live auction so you could get some great prizes! Tickets are £75 each and tables of 10 start at £750. Dress code is black tie and cocktail dresses.